Thanks to your help, 2017 was a year of incredible growth and progress at the Chapel of Sacred Mirrors! More than ten thousand people visited CoSM last year. At each Full Moon Gathering, hundreds of people from around the world converged to form a group soul of visionary community, reminding everyone that love and the creative force are powerfully alive in us all. Sunday Art Church and other uplifting cultural offerings have attracted growing support as they present CoSM’s unique perspective on creativity as a spiritual practice. To share this exciting journey of the Chapel of Sacred Mirrors, a comprehensive Vision Plan has been created. It provides details on current projects, and offers a glimpse into CoSM’s future plans. An HVAC power station installed to moderate air throughout 12,000 square feet of galleries on three floors. Outstanding progress has been made, however, we are still $500,000 away from completing and opening Entheon. It will take an estimated $250K to complete essential interior work including the 3-story elevator, seven bathrooms, lighting fixtures, cases and carpentry, including developing the Entheon Shop and registration area. Estimates for completing exterior site work add another $250K for paving a quarter mile driveway, parking lots, and sidewalks, and installing outdoor lighting and signs. All are required before opening. 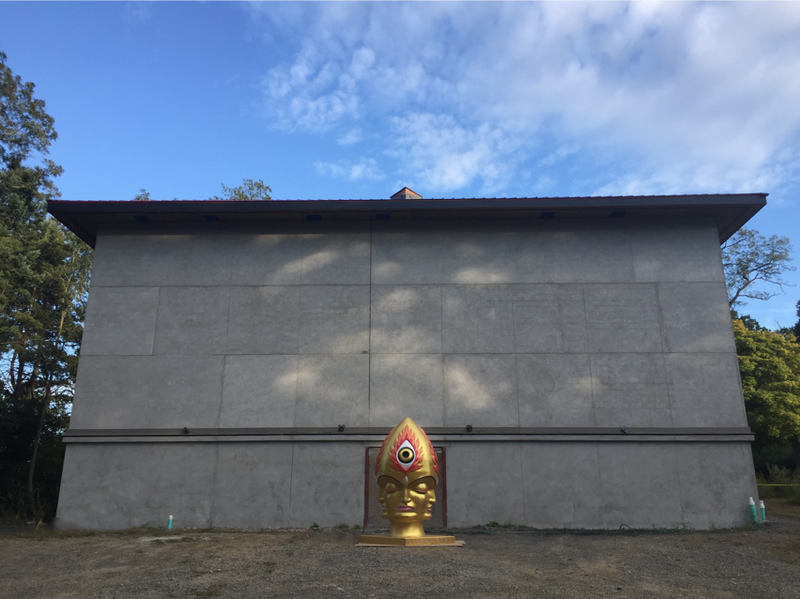 So, how do we plan to raise the additional $500K to complete this work and open Entheon? Presented the first Angels of Entheon Benefit Dinner and Silent Auction on May 5th, and planning 2 more this year. Painting commissions of original art in progress. Alex’s new work, “New Eleusis” was released as exquisite limited edition print on Bicycle Day. New product designs soon to be released. Greater inventory, new marketing tools, Amazon and Ebay outlets will expand CoSM Shop. Technological improvements to the live-streamed events and online programs engage a worldwide audience. Wedding celebrations, baby blessings, retreats, and location rentals expand through the new online system. Improved online guest room reservations. Actively reducing operating costs and increasing memberships and donations through informed online analysis. We continue to open ourselves to God’s infinite supply. Money is flowing! 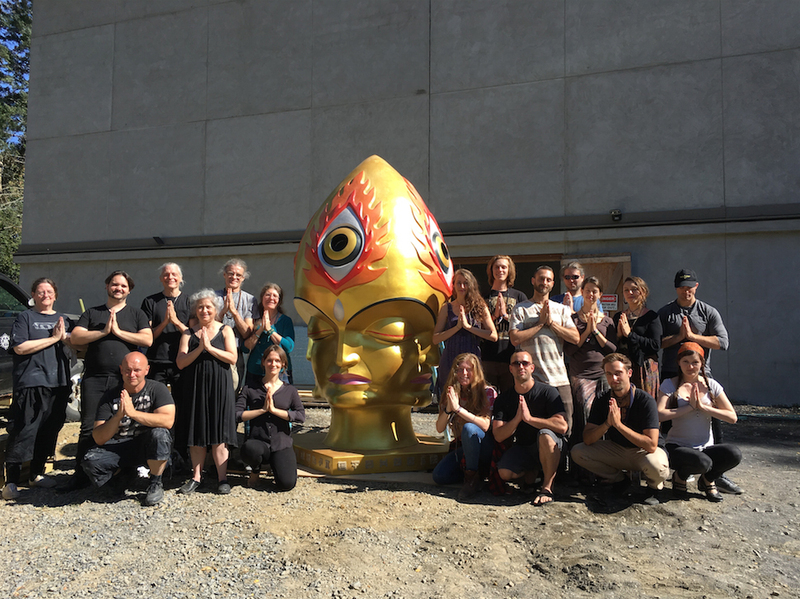 Join CoSM in raising the $500,000 needed to complete the interior and site work needed to open Entheon and put the paintings back on view. Your support is essential in this continuing adventure of the creative spirit! Join us for our next Angels of Entheon Benefit Dinner and Silent Auction on Sept 8 or Dec 10, 2018. 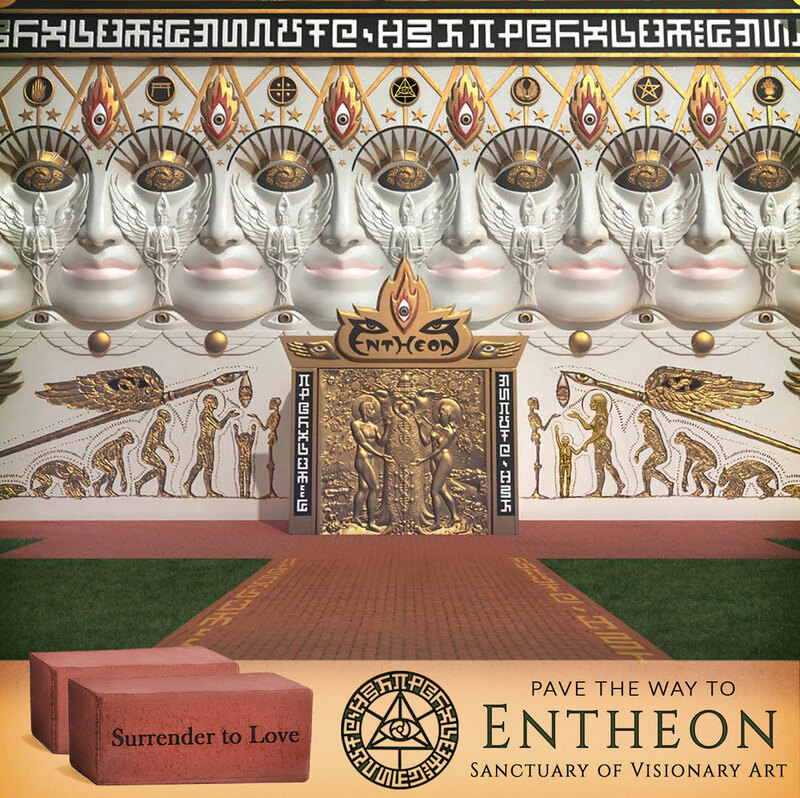 Donate an engraved brick and your name or uplifting message will be immortalized in the sculpture garden of Entheon. Plan your special event or retreat at CoSM. 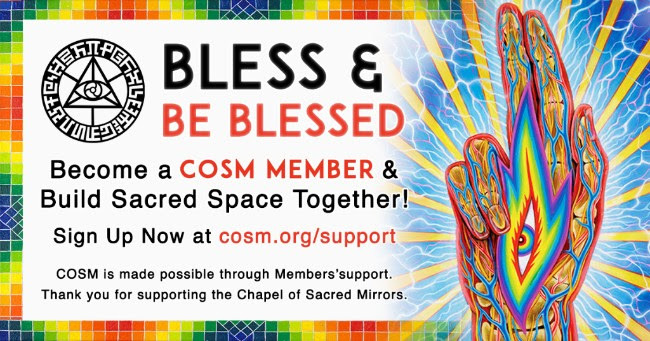 Become a CoSM Member and stand for the future of this center of visionary culture. Digital Subscribers virtually attend CoSM’s events. Gallery naming opportunities are available to major sponsors. Become a Sustaining Donor with a monthly gift to support the mission of CoSM. We welcome your involvement, suggestions and ideas for these and other fundraising initiatives as we forge this future together. 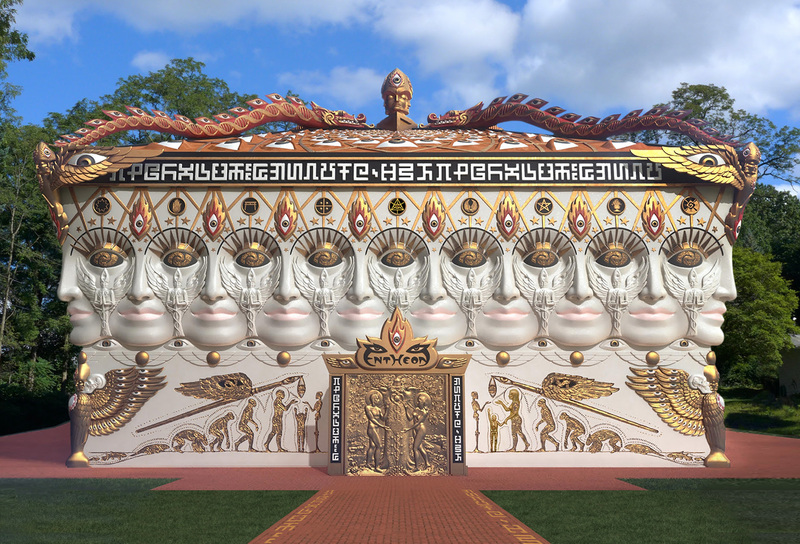 CoSM members and future members, the extraordinary staff, outstanding Board, and dedicated volunteers share this journey of building a temple and a sacred site for a global community. As active supporters of this project through prolonged birth to grand realization, we look forward to celebrating together.